In 1824, at the age of 23, Vincenzo Bellini was given the title ‘primo maestrino’ of the Naples Conservatory, together with a room of his own and a twice-weekly pass to the opera, plus a chance to write an opera for an all-male student cast. The result, premiered in early 1825, was Adelson e Salvini. Though for today’s tastes it had a rather messy plot and a reliance on long-winded spoken dialogue, that did not prevent the piece being repeated at the conservatoire every Sunday for the best part of 1825, but it had to wait until 1985 for a professional performance. 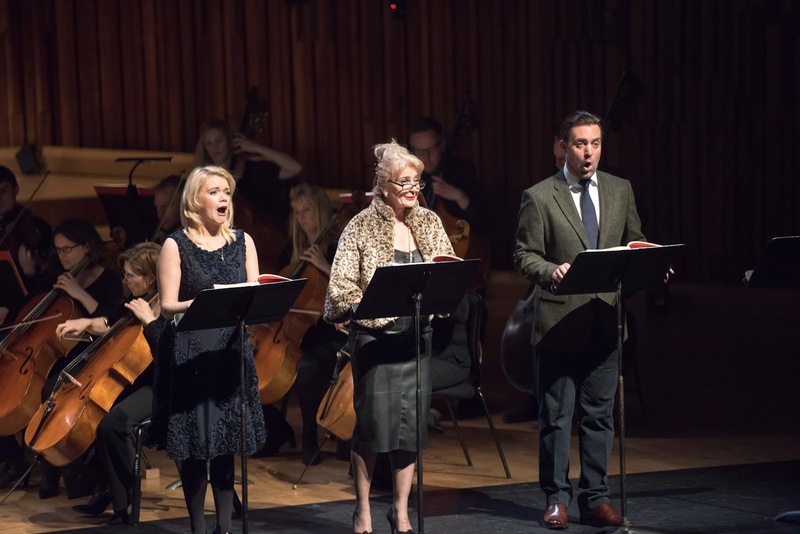 It was revived by Opera Rara at the Barbican on 11 May 2016, with Daniele Rustioni conducting the BBC Symphony Orchestra, Opera Rara Chorus and soloists Simone Alberghini, Daniela Barcellona, Enea Scala, Maurizio Muraro, Rodion Pogossov, Leah-Marian Jones, David Soar and Kathryn Rudge. For us, though, the main interest in this second Opera Rara / BBCSO collaboration (the first being Leoncavallo’s Zazà last autumn - see the review on this blog) was in spotting the many clues as to the direction Bellini’s short career was heading: those famous long spun-out vocal lines, and the gorgeous writing for woodwinds, were already much in evidence. 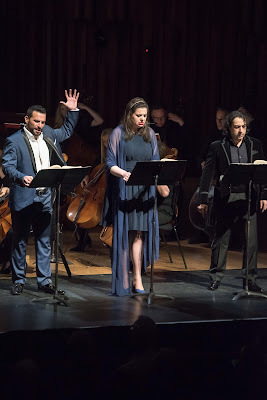 He subsequently recycled some of the musical material such as the ‘heroine’ Nelly’s Act 1 aria that evolved Guilietta’s ‘O quante volte’ in I Capuleti e i Montecchi and the Act 2 duet for the eponymous Adelson and Salvini that was to foreshadow the Norma-Adalgisa showpiece. Along with the elements for which Bellini is famous, there were also elements he didn’t pursue. This was dubbed an ‘opera semi-seria’ and there were some good gags: we had Bellini’s only buffo character the Neapolitan servant Bonifacio; we were offered the notion that the rivals for Nelly’s affections should solve the problem by cutting her in half, and of course for British audiences the Nelly / Fanny innuendo provided a smirk or two. On the whole, though, we are lucky Bellini subsequently found a better librettist in Felice Romani and stuck with the brooding Romanticism we love him for. The two title roles of the opera are a baritone, the Irish ‘Milord’ Adelson and a tenor, the Italian painter, Salvini, in a rather half-hearted competition for the heart of Nelly, niece of Colonel Struley. There is a large below-stairs cast and men’s chorus who double up as servants and peasants. The three female roles, written for male singers, were sung in this ‘concert staging’ by low mezzos; the only singer to spend much time above the stave was Enea Scala as Salvini. Musically, there were some lovely moments. 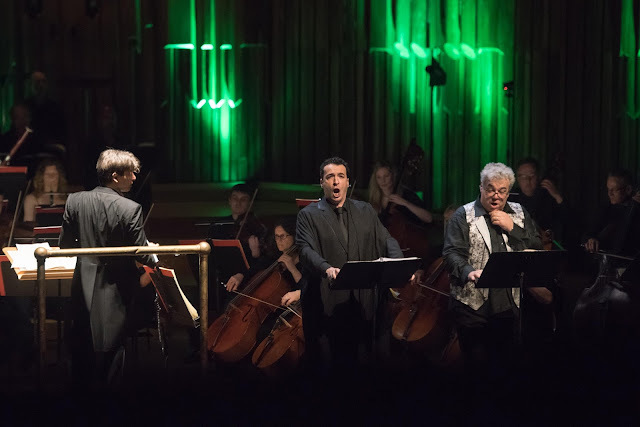 Daniele Rustioni led the BBC Symphony Orchestra in an energetic and characterful overture. The main characters had memorable arias: Bonifacio’s ‘Catalogue aria’ listing Salvini’s debtors, and Salvini’s aria with gorgeous cor anglais and clarinet accompaniment being high points; and there were some terrific set-piece ensembles. On the whole the men fared better, but the mezzos seemed to struggle with the low tessitura – even in spite of what I assume were judiciously added ornaments. The spoken dialogue proved problematic though. There was a lot of it, it was amplified and, though the Italians and Anglophones delivered it gamely, it didn’t really feel ‘lived’. The show was billed as a ‘concert staging’ but everything seemed to be performed to the first few rows of the stalls (or into the singers’ scores) – surprising when the concert had been sold out for ages beforehand.